This is a brief story of Mr. Hushmand Fatheazam’s visits to Malaysia. Mr. Fatheazam came to Malaysia twice, in 1965 and 1994. His coming to Malaysia on both occasions was providential and had a deep impact on the emerging institutions, individuals and the community at large. Mr. Fatheazam was elected to the first Universal House of Justice in 1963 and remained on this august body until he voluntarily resigned in 2003. Mr. Fatheazam was the first member of the Supreme Body to have come to Malaysia. Others who came after him were Mr. Hugh Chance in May 1987, Dr. Peter Khan in 1993 and Mr. Farzam Arbab in 2002. 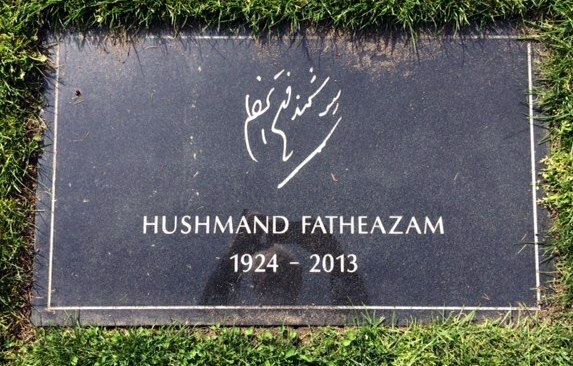 The name Hushmand Fatheazam was already known to the early believers in this country in the later part of the 1950s. In 1956 Mr. Fatheazam was the Managing Director of the Bahá’í Publishing Trust of India when he actively promoted the reading of Bahá’í books among the early believers. He wrote many letters urging them to buy the books and develop wide reading habits. 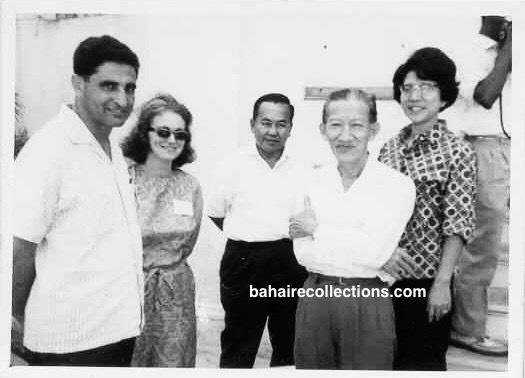 However, a direct and personal connection between the Bahá’í s of Malaysia and Mr. Fatheazam came to be established during the First Baha’i World Congress which took place in London from 28 April to 2 May 1963. Slightly prior to that Congress the election of the first Universal House of Justice took place in the Holy Land. Among the Malaysian believers who met Mr. Fatheazam in the Holy Land were Leong Tat Chee and Dr. John Fozdar. At that international convention, Mr. Fatheazam was elected to the first Universal House of Justice. From the Holy Land, the members of the first Universal House of Justice flew over to London for the First Bahá’í World Congress, and Leong Tat Chee and Dr. John Fozdar also flew in from the Holy Land to London for the Congress. First Universal House of Justice elected in 1963. Mr. Fatheazam is standing third from the left. Meanwhile, several Malaysians went directly to the First World Congress in London. Among them were Tony Fernandez, Yankee Leong, Dr. Wolff and Elinor Wolff and their four children, K. Rajah, Leong Ho San, Joshi from Raub, Jeffree Lee from Malacca, Shantha Sundram, Sathiawan Singh Pijush Kanti Paul, Tushar Kanti-Paul, Lily Chinniah, Miss Chiang Kim Lin, Miss Koh Ai Leen, Mr. Chin Soon Boon, Raymond Peter and S. Bhaskaran. Deraoh bin Leman was the only aborigine believer from Malaysia who went to the Congress. Appu Raman of Alor Setar, who was on United Nations Fellowship, timed his working tour of Britain to be at the Congress. Mr. and Mrs. R. Jegathesan of Penang and T. Dorairatnam who were studying in England joined the Congress. Mrs. George Lee, the only participant from Singapore made her own travel arrangements to arrive in London on time. 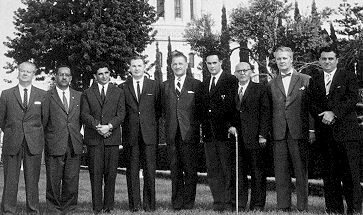 All these believers were the first batch of believers who had seen and known Mr. Fatheazam in person at the First Bahá’í World Congress in London. The coming of Mr. Fatheazam to Malaysia, with his wife and son, was highly significant in many ways. It was only in 1963 that the Supreme Body was elected, and the National Spiritual Assembly of Malaysia was elected on the following year in 1964. The Supreme Body was only two years old and the national institution of Malaysia was only one year old. The visit of Mr. Fatheazam in 1965 generated so much inspiration and enthusiasm in the Malaysian Bahá’í community. Although he addressed the believers in many aspects, the believers were able to get the first-hand glimpse of the various aspects of the infallible Universal House of Justice. As Mr. Fatheazam had limited days to spend within Malaysia, his program was planned mainly for the communities on the northern part of West Malaysia. Mrs. P. Indira Rao, Secretary of the National Teaching and Consolidation Committee of Northern Malaysia sent out a circular dated 20 July 1965, attaching a tentative program for Mr. Fatheazam to visit the communities of Ipoh, Sungai Siput, Kuala Kangsar, Taiping, Bagan Serai, Parit Buntar, Bukit Mertajam and Butterworth, Penang and Alor Setar – all to be undertaken within a week starting from 31 July to 6 August 1965. Yankee Leong, Leong Tat Chee, and A. Sabapathy were tasked to accompany Mr. Fatheazam in this trip. But it was Yankee Leong and Leong Tat Chee who followed him all the way to these places. All the communities benefitted from the visit by Mr. Fatheazam. There was an air of excitement everywhere. Wherever Mr. Fatheazam went he brought the love from the Holy Land and shared the urgency of fulfilling the goals of the Nine-Year Plan that were then in force. He also answered many questions from the believers whom he visited. When Mr. Fatheazam visited the Taiping community the Local Spiritual Assembly arranged a large gathering of Bahá’ís of Chinese background for him to address. Mr. Fatheazam speaking at a gathering in Taiping. Leong Tat Chee is seated at the extreme left. In the nascent Sungai Petani community, Mr. Fatheazam was taken to a “Bahá’í Centre” which was nothing more than a small hall with one table, one cupboard and a few chairs in a wooden house that was rented. There were only a handful of Bahá’ís such as Mr. P.U. Suppan and Mr. Ramanathan to welcome Mr. Fatheazam. Gathering at Alor Setar Bahá’ís Center. Standing at the extreme left in the back row is Phung Woon Khing. M.S. Maniam is third from left, Mei Siew Hong is fourth from left and Kesavanathan is fifth from left. 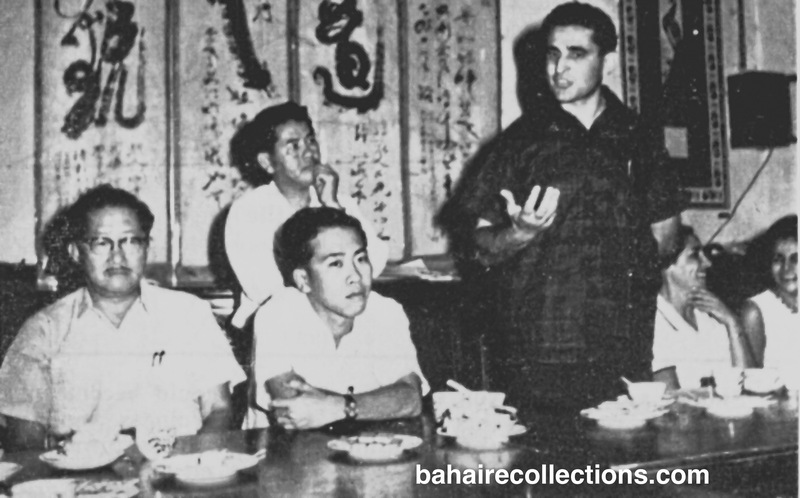 Seated L-R: Leong Tat Chee, Luke Lee, and Mr. Fatheazam in the center. Seated second from right is Yankee Leong. Seated right below Mr. Fatheazam is Nagaratnam. Squatting R-L: Isaac De Cruz, Kannaiah Adaikkalam and V.S. Maniam. The one other community that Mr. Fatheazam visited was the Bahau area in the state of Negeri Sembilan. He visited the Ladang Geddes or Geddes Estate, a rural community. Gathering at Ladang Geddes. Mr. Fatheazam flanked by Yankee Leong on his right and K. Rajah on his left. Seated at the extreme right is A. Sabapathy. Standing at the extreme right is Isaac De’ Cruz. 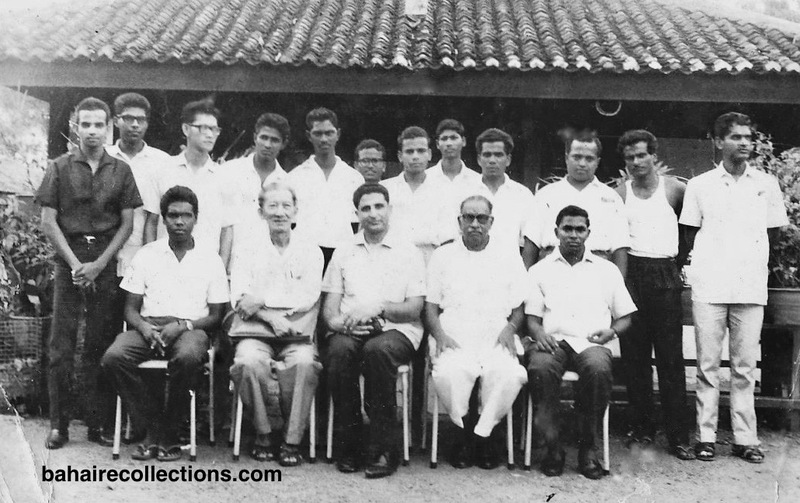 N. Nagendran is standing second from left and Jamie Maniam is standing right at the back of Mr. Fatheazam. Following the tour of the country Mr. Fatheazam, his wife Shafigheh Fatheazam and son Shehab Fatheazam participated in the summer school of that year. They had no original intention of participating in the Summer School, as they came slightly earlier than the dates scheduled for the Summer School. Since the Summer School was around the corner, they were persuaded to stay longer to participate in the Summer School and they gladly consented to stay on. On getting the news of the coming of Mr. Fatheazam to the Summer School, many of those who had met him at the World Congress were enthused. Mr. Fatheazam participated in the Seventh Summer School of Malaysia held at the Malacca Youth Hostel in Pantai Kundor. The believers knew full well that the summer school would be the best opportunity for them to extract much information on the Holy Land and the functioning of the nascent Supreme Body. Among the many who turned up for the Summer School were Alan Tan, Anthony Louis, Nirmala, Mrs. Shantha Sundram of Penang, Dr. Chellie Sundram, Lily Ng, Betty, Mrs. Leong Tat Chee, Yankee Leong, Inbum Chinniah and Lily Chinniah, K. Rajah, Leong Tat Chee, Tony Fernandez and Betty from Bagan Serai, Theresa Chee from Ipoh, Raymond Peter, Annamalai, Chandrasekaran, Jami Maniam, Tushar Kanti-Paul Mamata Kanti Paul, Nit Singam, Phung Woon Khing, M.S. Maniam, Nagaratnam and Luke Lee from Alor Setar. M. Maniam from Sarawak, Koh Ai Leen, A. Sabapathy, Chong Kia toon, Pauline De Cruz, C.S. Maniam from Batang Kali, Appu Raman, Sathiawan Singh, and a visiting Baha’i Miss Erla Godmunsdottir from Iceland. At the Summer School, Tony Fernandez, member of the National Spiritual Assembly accompanied by Anthony Louis of Malacca sang the “Fatheazam Calypso” with lyrics by Shantha Sundram to the tune of Harry Belafonte’s Calypso “Love, Love, Love.” The same was sung by the Penang Bahá’ís, led by Dr. Sundram in the same event. At the summer school, a range of good topics were addressed by several speakers. Yet the big attraction was for the talks given by Mr. Fatheazam, his wife and their son. Mr. Fatheazam talked about how the Universal House of Justice functioned, Mrs. Shafigheh Fatheazam spoke on the Nine-Day Pilgrimage to the Holy Land, while their son Master Shehab Fatheazam, gave a vivid description of the Holy Land. Mrs. Shafigheh gave a moving description of the Shrines and on the spiritual significance and effect of undertaking pilgrimage. The resident Hands of the Cause and their wives and members of the Universal House of Justice and their wives ensured that the pilgrims were given the best hospitality along the path set by the beloved Guardian. The Nine-Day Program included visiting the Shrines of the Báb and Bahá’u’lláh, Prison of Akka, Mansion of Bahá’u’lláh, home of ‘Abdu’l-Bahá and the International Archives Building. Other than a handful of Malaysian Bahá’í s having undertaken the pilgrimage to the Holy Land, the rest had not stepped into that blessed land. As a result, the talk by Mrs. Fatheazam was very captivating to their hearts. Mr. Fatheazam spoke on the day-to-day work schedule of the Supreme Body. He said it would be difficult to explain in exact words how the presence of Bahá’u’ lláh was guiding the meetings of this august body. All consultations, discussions and the decisions made were guided through Bahá’u’lláh. Mr. Fatheazam made it clear that although he had seen through the various decisions made in several other committees on which he had served, nothing could be compared with the way the divine guidance flowed during the meetings of the Supreme Body. No individual represented the Supreme Body, and all decisions were made through the full sitting of the Universal House of Justice and communicated to the world as a decision of the Supreme Body. The volume of work was carried out by separate sub-committees made up of different members of the House and were then passed on to the full body. Each day started with morning devotions at the Holy Shrines. He further said that when the Supreme Body replied that someone was remembered in their prayers, they meant it. He made it very clear that he came to the summer school and spoke in his individual personal capacity. Chong Kia Toon, Yankee Leong, and Theresa Chee. On other sessions, Mr. Fatheazam spoke on the effect of sincere prayers and the power of sacrifices. When the floor was open to questions, a lively session started off, with Mr. Fatheazam explaining the meaning of invocations, mediation and prayers. He then covered the significance of certain prayers and the background to names revealed in some prayers. He differentiated between community prayers and congregational prayers. He spoke on the power of the Holy Word in transforming the character of a person. He said the Faith has a complete code of conduct which Bahá’í s should search in the Writings. Constant contact with the Holy Words would work wonders in one’s daily life. One of the important daily duties was to say the obligatory prayers and read a passage from the Writings. He then sent home a message that every Bahá’í present at the summer school was to resolve to learn by heart his or her favorite prayers. Several reports were given at this summer school by various friends and committees. Observing such details Mr. Fatheazam mentioned that he had faced many challenges and opportunities and that he would share these stories with the countries he was going to visit in the future. He also observed that the Bahá’í youth had taken leadership in organizing the activities in this country. He, therefore, requested the community to focus on teaching the youth so the future of the Faith would be in safe hands. He advised the believers to also take the Faith into schools so that the young ones would mold and model their lives in accordance with the teachings. As the Summer School was going on, Mr. Fatheazam was informed of the first Teaching Institute of Malaysia was just completed in July 1965. That was also the first institute of its kind in South East Asia. Arrangements were made for him to visit the institute. 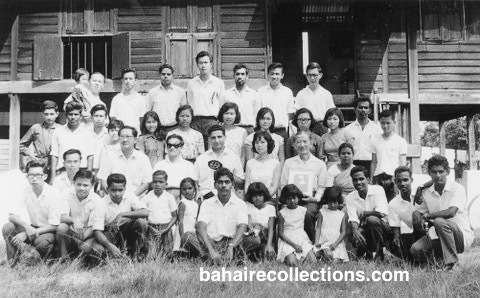 On Saturday, 14 August 1965, some of the friends attending the Summer School at the Malacca Youth Hostel, accompanied Mr. Fatheazam to view the completed institute. A prayer meeting was held at the Teaching Institute. After the prayers, the friends made an on the spot collection to furnish the Institute. The acquisition of this institute was viewed as a national achievement. Mr. Fatheazam visited many parts of Malaysia and inspired communities and individuals. His stay in Malaysia, though short, had a tremendous impact. This wonderful family left Malaysia for India on 17 August 1965 on their way to the Holy Land. In September 1994, Mr. Fatheazam returned to Malaysia. Again he said that he came to Malaysia for a holiday. A very large group of believers, some 2000, gathered at the Yankee Leong Bahá’í Institute at Balakong. Till then such a large gathering had never met on that spot. Tents were erected outside the building and closed circuit televisions were set up to view the sessions going on in the main building. Mr. Ramayah of Kajang who was employed with the Radio Malaysia as technician made this good arrangement. At the opening session, Mr. Fatheazam mentioned that he had come to Malaysia in his individual capacity, and that he brought along the loving greetings from the Supreme Body. He recalled the first time he visited Malaysia in 1965 and mentioned the community large since. He also congratulated the community for all the large-scale achievements and victories brought into the Cause. He was taken to meet the representatives of the various ethnic groups- the Aboriginal friends and the Tamil-speaking friends with whom he shared his outpouring love. The various committees presented their reports on the growth of the Faith. It was reported that a large number of people had just embraced the Faith. Mr. Fatheazam called for the consolidation of the new believers and stressed that both teaching and consolidation should go hand in hand. While Mr. Fatheazam was witty in the way he answered the questions from the floor, he was clearly sending home the cardinal messages, which certainly served to provoke the thoughts of the believers. When Mr. Fatheazam reached the Holy Land, he sent me a copy of the latest publication of a book – “MOUNTAIN OF THE LORD – The Terraces and the Arc” with his loving autograph dated 19 December 1994. In my humble opinion members of the Universal House of Justice do not always come on a personal and private holiday. Even should they come on a private trip, they always had some message to be imparted or some mission to be accomplished. In all such trips, they certainly serve as eyes and ears for the Supreme Body. I must admit that the visit by Mr. Fatheazam to Malaysia in 1994 brought along a lot of learning lessons for the Malaysian Bahá’í community. Following his visit, a new invigorating wind blew into the Malaysian Bahá’í community, that led to the further maturation of the individuals, institutions and the community at large. The community of the Greatest Name in Malaysia was never the same when viewed from various angles. I could visibly witness so much power in the Faith, which operates in its own ways, in its own spheres and operated by the invisible and invincible hands of Bahá’u’lláh Himself! 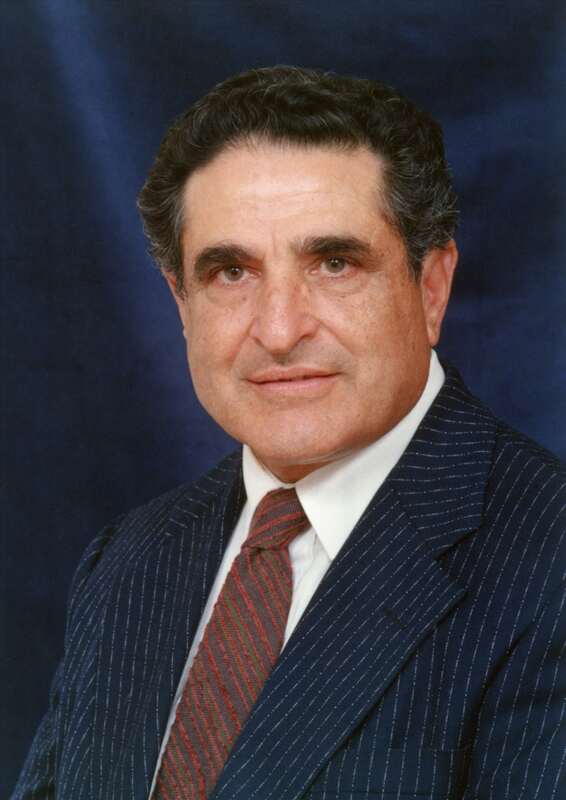 Born into a Baha’i family in Tehran, Iran, in 1924, Mr. Fatheazam obtained a Masters degrees in Arts from Tehran University and Wiswa Bharati University in India. He worked as a curator at the library of the Faculty of Arts at Tehran University. Moving into India, he held the post of lecturer in Persian literature at Punjab University, and was staff artist at All-India Radio from 1955 to 1963 and was the Secretary of the National Spiritual Assembly of the Baha’is of India during this period. He was also Managing Director of the Baha’i Publishing Trust, New Delhi. He was a poet, author, and playwright, and wrote “An introduction to the Baha’i Faith” and “The New Garden”, which has been translated into some 109 languages. He has presented numerous lectures on the Baha’i Faith.